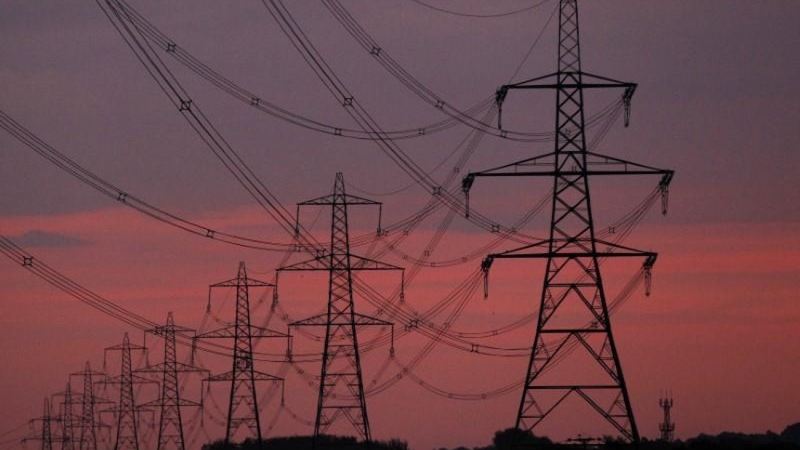 Britain’s “big six” energy providers are feeling the heat. Theresa May’s pledge to end “rip-off” fuel bills could lead to a cap on the standard variable tariff paid by a majority of households in the UK. The sector is likely to face a more radical shake-up, should Jeremy Corbyn’s Labour party come to power. Power suppliers are showing considerable agility in countering the immediate threat of regulation. Two of the biggest, SSE and Npower, are to spin off and combine their UK retail businesses to reduce their exposure to the market. Now Centrica, the parent of British Gas, has said it will scrap its standard variable tariff, replacing it with an “emergency” 12-month default tariff for customers who fail to shop around for a cheaper fixed-price deal. Whether regulators step in, or whether companies act to pre-empt them, it seems plausible that the gap between the cheapest and most expensive tariffs will narrow, and that price-savvy customers will no longer receive such a large cross-subsidy from the apathetic majority as they have in recent years. It is questionable whether consumers need such protection from their own inaction. But even if there is little change in the average household bill, there is a real benefit in making people more confident that they are paying a fair price for energy. Public trust in the system is especially important because the UK, like countries worldwide, is grappling with the problem of how to fund the necessary switch to clean energy. At present, there is a damaging lack of transparency over the costs of this transition. Centrica’s chief executive, Iain Conn, argues that “green taxes” and other government policies that are funded through levies on energy suppliers are the main cause of rising household bills. He and others in the industry want the government to end this practice and meet the costs from general taxation. He has a point. 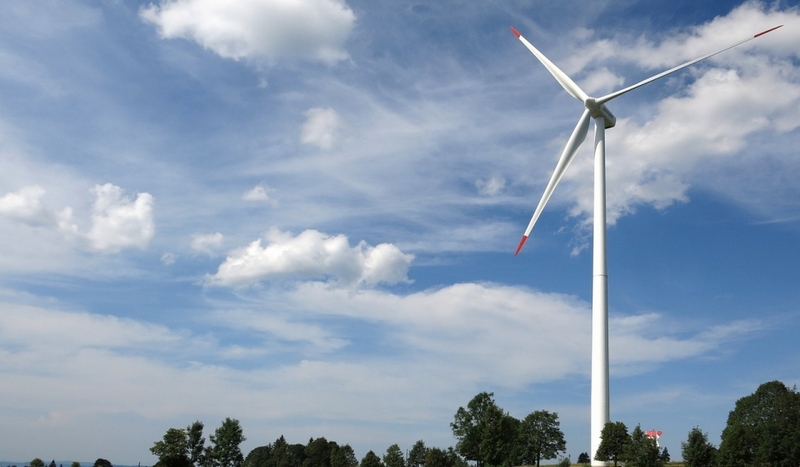 The true cost of UK policies to support green energy is hotly contested. Centrica says environmental and social policies accounted for £135 of an average power bill of £1,112 in 2016. Independent analysts, and the government’s own advisers on climate change, have different forecasts suggesting the costs are much lower. A great deal depends on the timeframe selected, how one accounts for the carbon tax and whether one factors in renewable energy’s impact in lowering wholesale prices. A recent review of UK energy costs by the economist Dieter Helm suggests that UK households in fact pay less than the European average for energy — and less on taxes and levies. But green subsidies are significant and they have been higher than initially forecast: a “levy control framework” introduced in 2011 was supposed to cap the costs of three of the main schemes supporting low carbon investment, but costs are likely to exceed the cap in every year to 2021. The Helm review argues it would have been possible to achieve as much at lower cost. At a time when poorer households are struggling with stagnant wages, cuts to benefits and rising prices for food, transport and other essentials, it will not be surprising if they begrudge paying for decarbonisation policies. Nor is it surprising that energy suppliers resent being blamed for high prices when the government has failed to regularly quantify and explain the impact of its green policies on household bills. If the government is to win public support for the essential transition to cleaner energy, it must begin with greater transparency over the costs of its policies. Only then can it justify the costs and determine the fairest way to meet them. SSE and npower, two of the UK’s biggest energy companies, are planning to combine their household energy supply businesses in a potentially seismic shake-up of the market. The two firms said they were in well-advanced talks to create a new independent energy supply firm. The new business would combine the nearly 13 million customers they currently supply with electricity and gas. 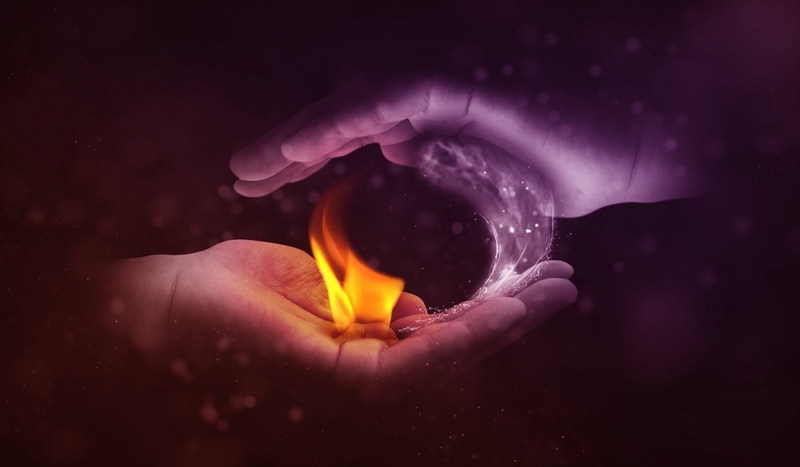 If the move goes ahead it would see the end of two of the biggest brands in the energy retail market, and is likely to raise competition concerns as the so-called big six that own 80% of the energy market shrinks to the “big five”. 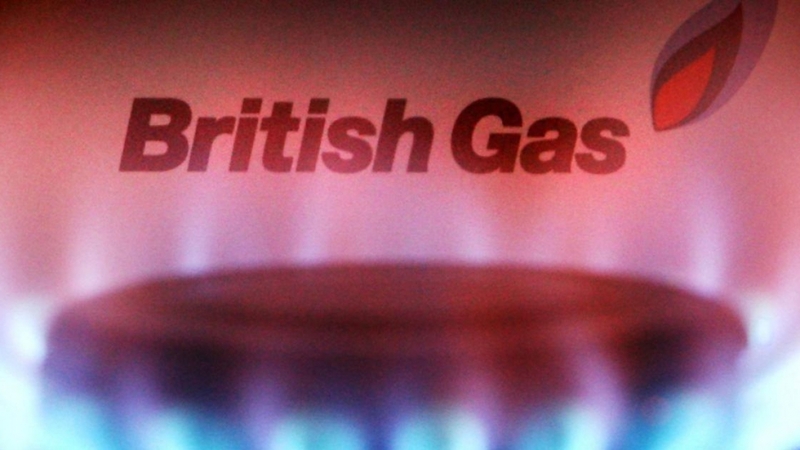 The combination of German-owned npower and UK-listed SSE, Britain’s second biggest supplier, would create a behemoth of a similar size to the current market leader, British Gas. SSE’s share price jumped by more than 3% as the possible deal was announced. Both companies have opposed the government’s plans for a price cap on energy prices, which Theresa May has said she is imposing to end “rip-off” standard variable tariffs. Among the big six, SSE has the highest percentage of customers on such poor-value tariffs. The firms said the new company would be listed on the London Stock Exchange but stressed no final decisions had yet been taken. “The discussions between SSE and [npower owner] Innogy are continuing and are well-advanced but no final decisions have been taken and no binding agreements regarding the terms of any combination have been entered into,” SSE said in a statement to the Stock Exchange. The company added that it was mindful of the impact on staff and customers, and would inform them of developments as soon as possible. The big six suppliers have been haemorrhaging customers over the past few years in the face of cheaper, more digital savvy and greener energy companies. These new operators now have 20% market share, up from 1% a decade ago. But the big six have still been piling up the profits as the companies cut costs and charged higher prices to customers who had not switched away from standard variable tariffs. While SSE made a substantial profit margin of 6.9% in 2016, npower reported an operating loss of £90m last year as it lost nearly 80,000 customers and struggled to get a grip on costs. Industry figures had previously said the brand had become so tarnished that a rebrand was likely. Experts said that SSE stood to benefit the most. “We see this as a positive move for SSE and Innogy, although the relative scale of the UK supply operations within both entities means SSE is significantly more exposed to any upside,” said analysts at RBC Capital Markets. If the merger does go ahead, the newly-created supplier would have nearly 12.7 million customers, putting it within touching distance of the current biggest supplier, British Gas, which has 13.7 million. Industry figures said that because the new entity would not be bigger than British Gas, it was unlikely to be blocked by the government’s competition watchdog. They said that the move was probably driven by an attempt to cut costs through economies of scale but warned the two firms were likely to face problems integrating their IT systems. This week SSE wrote to Greg Clark, the business secretary, informing him that from the next financial year it was going to stop rolling customers on to standard variable tariffs when their fixed deals come to an end. In the longer term, it said it was considering dumping standard variable tariffs entirely. One comparison site said the move could potentially benefit npower customers. “This merger could in fact be good news for customers. SSE currently have lower prices than npower as well as better service levels,” said Mark Todd of Energyhelpline. The announcement comes as industry data shows that more than 600,000 people switched energy supplier in October, up 10% on the month before. A third of those switching moved to smaller suppliers. A poll by Opinium for challenger firm PurePlanet has found that half of customers with the big six are considering ditching them for another supplier. For households with British Gas, which hiked its prices in September, 29% are thinking of leaving in the next six months, the research found. The UK’s biggest energy companies made a profit of £1bn last year and have increased their profit margins in recent years despite losing millions of customers to challenger firms, according to Ofgem – the Office of Gas and Electricity Markets. The energy regulator said the big six suppliers enjoyed a healthy margin of 4.5% on average in 2016 by charging higher prices to consumers who have not switched, with the gap between the best and worst tariffs widening to £300 a year. Almost half of people who are unemployed or in low-skilled work have never switched supplier, a new report by the regulator found (pdf). For other customers, the figure is below a third. “Supplier margins have been rising fairly significantly over the last seven years or so,” said Joe Perkins, Ofgem’s chief economist. The regulator found that if energy suppliers made the same profit on poorer-value standard variable tariffs as they did on cheaper fixed-term deals, the big six would have posted a loss of 6% last year. British Gas made the biggest profit margin last year, at 7.2%, followed by E.ON with 7%, SSE with 6.9% and Scottish Power with 5.2%. Npower and EDF both made a loss. “Less-engaged consumers appear to allow suppliers to offer very competitive prices to engaged consumers and still make a profit after deducting their operating costs,” the report said. Theresa May has cited the higher prices for those who have not shopped around as the reason for her price cap on standard variable tariffs. A spokesperson for the Department for Business, Energy and Industrial Strategy (BEIS) said: “The regulator’s report shows there are still millions of people paying too much for their energy. First Utility, one of the biggest challenger firms, said the report was further evidence of why ministers were capping prices. “It [a cap] is the inevitable consequence of the big six’s lack of regard for their customers and they only have themselves to blame,” said Ed Kamm, the company’s chief commercial officer. However, the £1bn profit is down from the peak of £1.2bn, with smaller suppliers driving the big six’s market share down to 80%. “Profit in absolute terms has been falling for the six largest suppliers as they’ve been losing customers to smaller firms, so whilst they’re making a stable or increasing margin on revenues they earn, that revenue base has fallen somewhat as new entrants are coming in,” said Perkins. Ofgem said it was pleased that households were using a fifth less energy than a decade ago, largely because of improvements in energy efficiency such as insulation and better boilers. But the regulator is concerned that some people are rationing their use of gas for heating, such as by turning down the thermostat. It believes a third of the reduction in gas consumption over the last 10 years is a result of consumers limiting their heating in response to price hikes. “Self-rationing is a particular risk for low-income consumers,” said Perkins. While May’s wider cap is unlikely to take effect until 2019, Ofgem said that a narrower cap on 4m vulnerable households had reduced typical dual fuel bills by £60 a year since being imposed in April. However, the regulator found the cheapest tariffs had been withdrawn and most suppliers had converged with pricing just under the cap. It would not be drawn on whether May’s cap would have the same effect. Richard Neudegg, head of regulation at comparison site uSwitch.com, said: “Prices have converged around the level of the prepayment price cap and Ofgem acknowledges that some consumers have seen their bills rise due to the cheapest deals being withdrawn. Ofgem’s state of the market report also said the cost of keeping the lights on in recent years could have been cheaper for consumers if National Grid had more accurately forecast the number of power stations required to be on standby during winter. Another area where households had sometimes paid “a higher cost … than necessary” was for policies cutting carbon emissions from energy, the report said. “This hasn’t come cheap,” said Perkins, of the subsidies paid by consumers to support windfarms and solar panels in recent years. Behind the political battles over household bills lurks a far greater energy cost crisis. It risks damaging British industry and undermining attempts to boost productivity after Brexit. Households are paying more for clean power than they should, but official data shows UK bills are still below average compared to the EU. The picture is more worrying for industrial and commercial customers. In this league table UK businesses pay well above the average. The cost burden they bear is second only to Denmark. The issue is under discussion at the Treasury. Officials are clear that for the UK to attract inward investment the country needs to be competitive on energy costs, even while taking action to reduce carbon emissions. “This is why the Government has commissioned an independent review into the cost of energy led by Prof Dieter Helm … to deliver the Government’s carbon targets and ensure security of supply at minimum cost to both industry and domestic consumers,” the Department of Business, Energy and Industrial Strategy said earlier this year. The Helm review concluded that bungled policymaking and Governmental tinkering has meant the UK is paying “significantly” more than it should. Andrew Buckley, a director at the Major Energy Users Council (MEUC), agrees. “The report refers to decarbonisation and social policies making up 20pc of bills,” he says. “Some energy intensive businesses receive some relief from these charges but the great majority of commercial and industrial companies amongst MEUC membership do not,” Buckley says. It comes at a time of paramount importance for the economy as Britain prepares to leave the European Union. At the same time the cost of importing parts is rising and attracting skilled labour is becoming more difficult. If Helm had his way, all the costs of subsidising Britain’s low carbon power projects – such as wind, solar and new nuclear plants – would be scrapped from industrial bills altogether. Ilesh Patel, from Baringa Partners, spent the summer working with large industrial users hoping to manage the looming cost crisis. In a worrying twist he found the most effective efficiency tactics in use today risk accelerating the energy cost crunch for those users with the highest electricity appetite. “The more sophisticated energy-intensive companies are looking at things in three ways,” Patel explains. The first is by reducing their reliance on the main power grid by generating their own electricity from small-scale power projects on their own sites. These could take the shape of solar panels or micro gas plants which create both heat and power. The mini-system could also include battery storage. “The immediate impact on a bill would be material and clear – just by buying less from the grid,” Patel says. The second option is to pay less for what you buy. Patel says there is an increasing appetite among major companies to lock-in bilateral deals directly with renewable power generators which can supply long-term, fixed-rate electricity at below the market price. “The price agreed today would be the same price in 15 years’ time, and there’s no variability on that. That’s what makes it so powerful for energy consumers or a manufacturing facility,” he adds. Finally, Patel says companies are trying to use less energy in the first place. 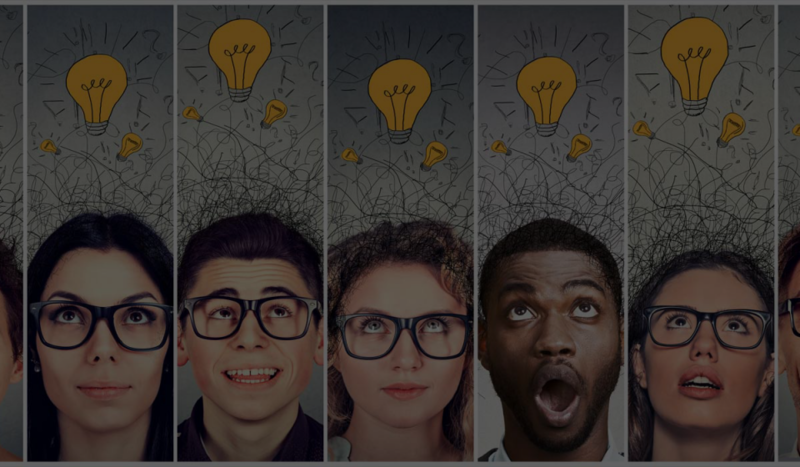 Efficiency measures may be a relatively low-tech route to tackling spiralling costs but every little bit helps in a crisis with no magic bullet. The end energy vision for a high-energy manufacturer, water company or data centre could involve using less energy, generating their own power as much as possible, and where not possible contracting to buy someone else’s. The common denominator is using less from the national grid. For those which are able to insulate themselves against the higher prices of grid-bought power, costs can be reduced. But for those left behind the move away from grid power could mean the problem escalates. Patelel’s three-point plan is not an option for all energy users. For example, a typical one-megawatt solar project – very small compared to a 50-megawatt steel plant – would need land the size of a football pitch. Trying to find 50 football pitches of land, and then install batteries, is just not practical for a very high energy user, he says. Those left behind will be the most energy-intensive industries and manufacturers which support thousands of jobs across the country, as well as low-income and socially vulnerable households which cannot afford to embrace the new technologies which might be able to help save them money. “The big question is when will we reach a tipping point,” says Patel. “This is all relatively small-scale stuff when only a few hundred customers can move off the grid, but soon cost reductions in solar and battery storage will make it viable for the vast majority of industrial, commercial and domestic customers to follow. The cost of maintaining the country’s pipes and wires is calculated by the energy regulator based on how much power or gas is used. If commercial customers only use the grid for backup it will fall to those less able to be self-sufficient to bear the brunt of the grid’s maintenance costs. Proponents of off-grid generation rightly point out that the trend will help reduce the overall cost of maintaining the grid – but not low enough to protect heavy industry from spiralling costs. “The very largest energy users will struggle to get their bill down without some kind of Government intervention in the cost base. The levers just can’t be pulled by them in the same way as can be done for the vast majority of industrial and commercial consumers,” Patel warns. The concern is front and centre on policymakers’ agenda but Ofgem’s current review of network costs does not go far enough, according to some. “The scope of the review that has been launched is woefully narrow in my view,” says one industry insider, who asked not to be named. Ofgem’s so-called “significant code review” will reveal its findings and proposals in the second quarter of next year and will deliver decisions around three months later. These will only take affect early next decade. In the meantime, the pressure on industry is unlikely to ease. Britain is importing an “increasing amount” of electricity from continental Europe which is putting its supply at risk. 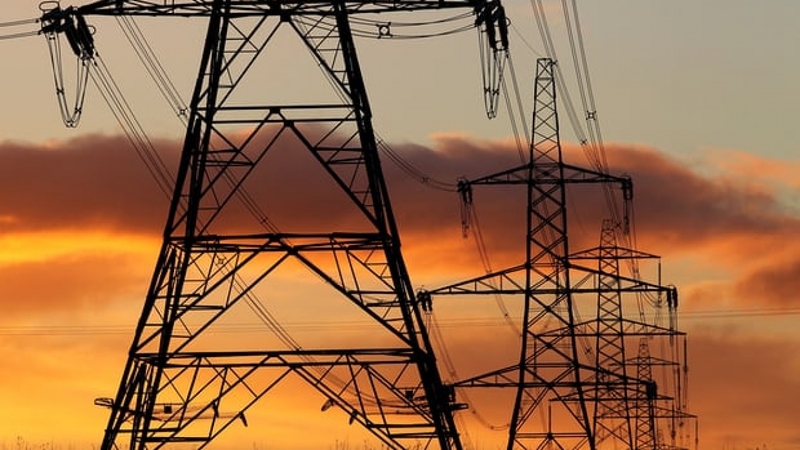 A new report projects the UK will receive 67TWh of power from interconnectors by 2030 – a 10-fold increase in the projection made five years ago. In the 12 months to March this year, the UK imported 17.22TWh but exported 2.78TWh. 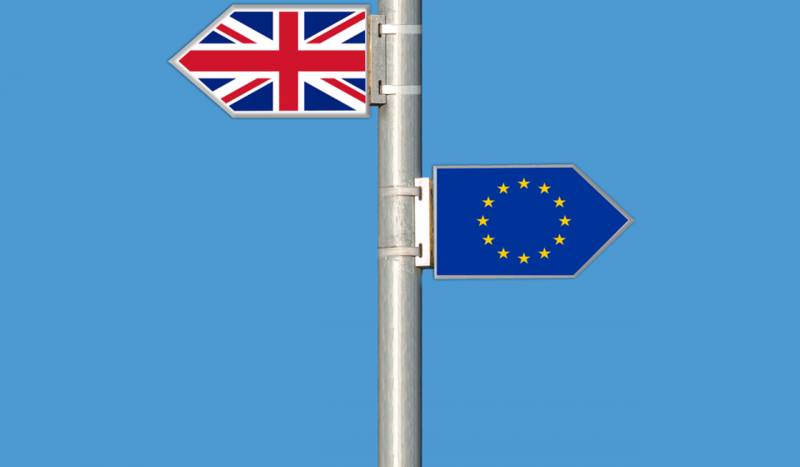 The Centre for Policy Studies (CPS) argues the more reliant Britain becomes to power from Europe, the more vulnerable it will be to disruptions in supply, sudden price spikes or a wider tightening of capacity which pushes prices up. It adds the imported electricity also has a “unfair competitive advantage” as it is not subject to the Carbon Price Floor or transmission charges faced by British generators. 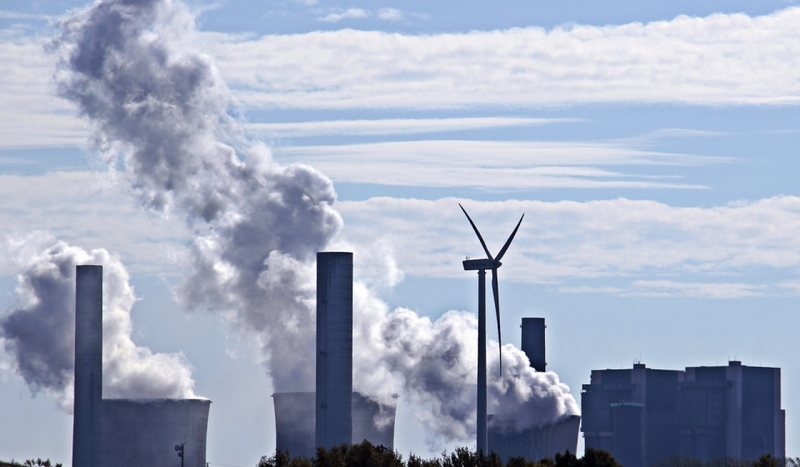 It believes rather than cutting emissions, Britain is to some extent “offshoring” them – closing its coal-fired power plants but continuing to buy energy from Europe “which is likely to have come from plants of the same type”. 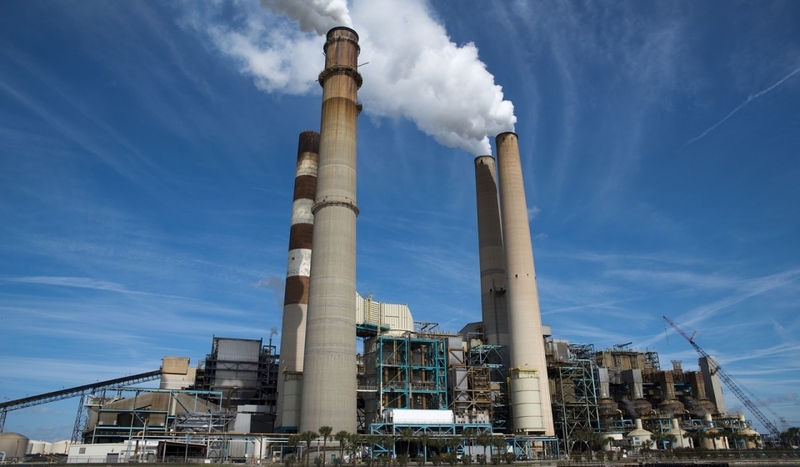 The think tank argues the UK’s energy policy must prioritise the building of new gas-fired power stations for ensure energy security and the Competition and Markets Authority should launch an inquiry into the role of interconnectors. Tony Lodge, CPS Research Fellow and lead author of the report said: “At a time when spare electricity generating margins across Europe are falling, it does not make sense to build an infrastructure which risks making the UK over-dependent on imports. Large incumbents such as the ‘Big Six’ utilities have a dominant and undue influence over UK energy policy, potentially holding back a clean power transition, a new report has claimed. The ‘Gridlock in UK Power Markets’ report, co-authored by lobbying group InfluenceMap and the Friends Provident Foundation, claims that the Big Six maintain “close control” over critical policy details by maintaining close relationships with the Department for Business, Energy and Industrial Strategy and industry regulator Ofgem. This influence, or ‘regulatory capture’ as the report describes it, is at risk of resulting in a dysfunctional energy market given the rate at which technology trends are changing. The report argues that energy market incumbents have sought to undermine new entrants to the market and emerging technologies, specifically by campaigning against renewable technologies. This has been enforced by repeated messaging arguing that support of renewables is likely to send power prices up and energy security down, messaging which has caused trouble for trade bodies like the Renewable Energy Association and Community Energy England. It looks to substantiate its claims by stating that the Big Six, National Grid and trade organisation Energy UK have met with policy makers 166 times in the past two years; more than twice the number of all other power market entrants. “The research shows the incumbent utilities in the UK, through persistent and strategic capture of the policy process, appear to be clinging to outdated business models. History shows this usually ends badly for the shareholders of the companies most resistant to change,” Dylan Tanner, chief executive at InfluenceMap, said. The report points at incumbent utilities in Germany, specifically E.On and RWE, which saw a near 80% drop in profitability when the country’s Energiewende – a set of policies enacted in the 2000s to drastically decarbonise Germany’s power generation – began to diminish their standing. It goes on to suggest that a distinctly similar transition is already gathering pace in the UK, one that stands to be driven once more by the government’s new Clean Growth Strategy, before going on to warn that Big Six investors could see a similar drop in returns. 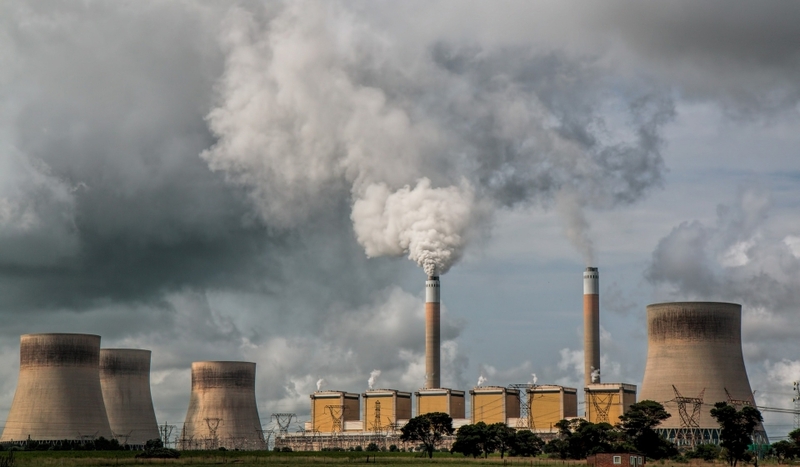 Colin Baines, investment engagement manager at Friends Provident Foundation, said there is an “emerging consensus” that the UK’s energy market is facing “unprecedented disruption” at the hands of more decarbonised, decentralised and democratised energy. “It should concern investors that the business models of the Big Six appear to be based on their current ability to maintain the status quo via regulatory influence. It should also be a concern that none of the Big Six’s lobbying activity is sufficiently aligned with this 3D transition, an indicator that they are perhaps not adequately preparing for the market disruption they face,” he added. The report does however appear to overlook how many of the so-called ‘Big Six’ are increasingly positioning themselves to take advantage of the energy transition. 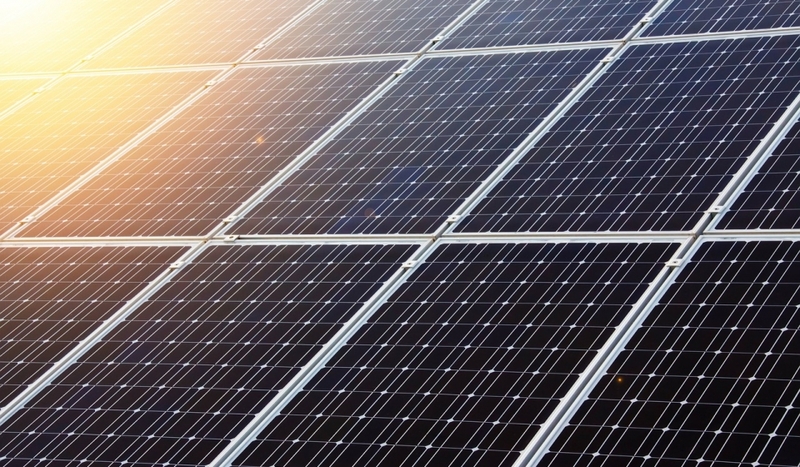 Earlier this year E.On brought its domestic solar-plus-storage proposition to the UK market, and the company’s CEO Johannes Teyssen has repeatedly spoken of taking a lead in new energy markets. 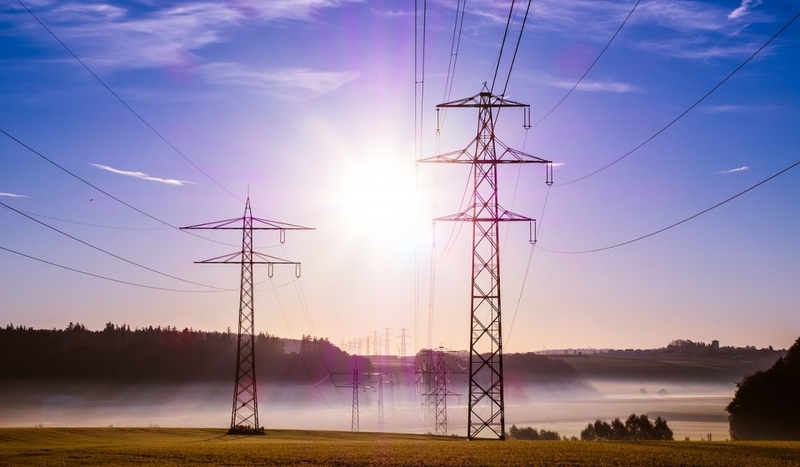 More recently the group connected the UK’s first EFR-backed storage projectand combined with Enel to complete what it billed as the world’s first blockchain-enabled power trade. Centrica has too looked to steal a march on its rivals in battery storage, with construction of a 49MW battery currently underway. It has also invested in nascent technologies like AI and distributed power platforms, and launched a cutting edge smart grid trial in Cornwall. The big six energy companies suffered a record exodus of more than 160,000 customers to smaller rivals in September, as British Gas increased electricity prices for millions of households. A monthly all-time high of 163,000 people left the largest suppliers – British Gas, EDF, E.ON, Npower, SSE and ScottishPower – which have about 80% of the market. The surge in customers ditching the big six comes as Theresa May reiterated her claim the market was broken and ministers published draft legislation to cap bills for up to five years. Jefferies investment bank said 1.1 million customers had already switched this year from the big six to smaller competitors, up 18% on the same period last year. The big six are likely to see their finances squeezed further by May’s cap and competition from challenger firms, the bank warned. “Intense competition, combined with the recent announcement of a standard variable tariff price cap, is likely to only magnify UK retail market woes for the big six,” it said. 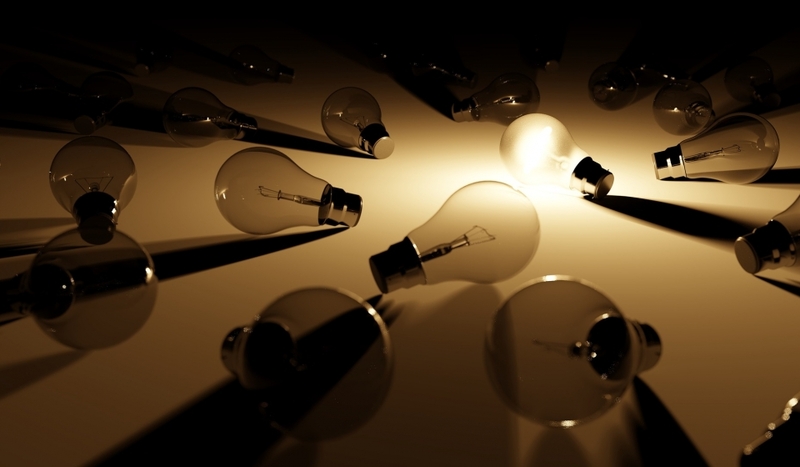 The industry trade body, Energy UK, hailed the switching figures as a sign that “competition continues to flourish”. Much of the migration will have been spurred by British Gas hiking its electricity prices 12.5% for 3.1 million of its customers from 15 September. The company was the last of the big six to increase its tariffs, following a round of price rises at the start of the year. Robert Buckley, research director at energy experts Cornwall Insight, said the statistics showed the market was working. “This just shows that the market is busier and more competitive than ever,” he said. He agreed with Jefferies’ prediction that 2017 is likely to be a record year for switching. However, Buckley warned that May’s cap, expected to take effect in late 2018 or early 2019, could see the growth in switching stall as consumers are lulled into complacency over bills. “I think there’s a real risk with any price cap that people who haven’t engaged with the market think that they’ll be OK not to,” he said. Smaller suppliers such as Ovo and First Utility have been taking about one percentage point of market share every quarter for the last four years, and many of them have welcomed a price cap as their existing tariffs are already well below the level of any likely ceiling. But there are fears in the industry that even the prospect of a cap could make consumers think they are protected and therefore stick with big suppliers. Several of the big six have already reported large customer losses this year, with SSE shedding nearly 250,000 between March and June, and Scottish Power down by 100,000 in the first half of the year. The chief executive of the UK’s biggest energy company, British Gas owner Centrica, this week questioned whether the cheap rates offered by some companies were sustainable. “Many of the companies who have entered the market currently don’t make any money. One of the things that one needs to watch out for is, is the current market actually sustainable?” said Iain Conn, who has been a vocal critic of a price cap. The managing director of Centrica’s domestic retail business will be questioned by MPs on Tuesday on the impact of a cap, along with the chief executive ofOvo and the head of the energy regulator, Ofgem. The owner of Britain’s largest energy supplier may need to raid its shareholder payouts to withstand a tougher-than-expected government crackdown on rising energy bills. 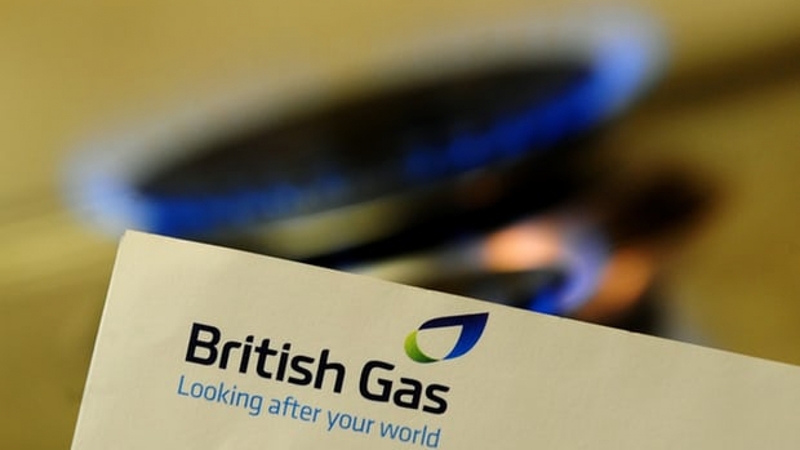 The looming energy price cap is likely to slash the earnings of British Gas three times deeper than investors first feared, which may force its parent company to cut shareholder dividends by a quarter and could also expose Centrica to the threat of a takeover. The stark warning from City sources and analysts emerged after Prime Minister Theresa May brought raised the political heat on energy suppliers with the promise to begin legislation on a price cap for some 15m homes. Roshan Patel at Investec described the Government’s plans as a “sea change in a long drawn-out saga” with “severe” financial consequences for the largest energy suppliers. For the owner of British Gas it could mean a cut of between 20 to 25pc to shareholder payouts, which last year totalled £459m, in order to weather the political storm. 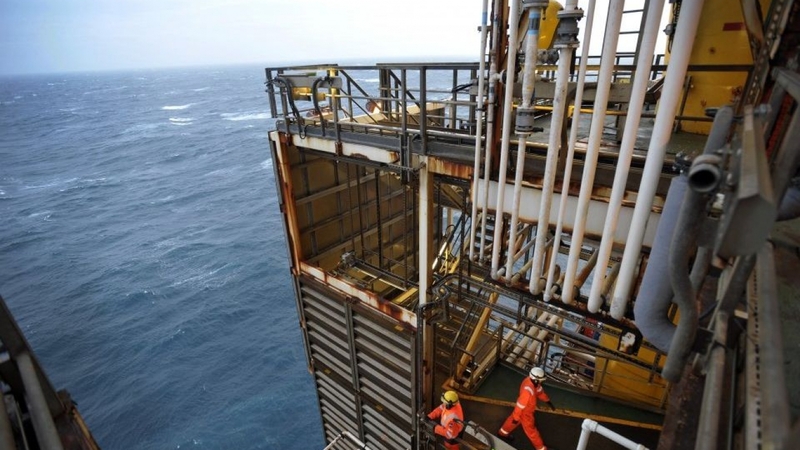 Meanwhile, City sources have warned that the FTSE 100 group’s dramatic share price plunge to 14-year lows is likely to reignite market chatter over the energy giant as a takeover target. “A lot of the fear and disappointment in the market is already priced into Centrica’s share price but, depending on the details of the legislation, there could be further to fall,” one City source told The Sunday Telegraph. Centrica cut its progressive dividend policy last year in order to tackle its onerous debt pile. It will reinstate growing payouts only if it manages to drive debts down, but a snap dividend cut could still be possible, as is a potential takeover of the British energy stalwart. Prime Minister Theresa May stunned the industry last week when she announced a plan to impose price caps on standard variable tariffs (SVT), the basic rate that energy suppliers charge if a customer does not opt for a specific fixed-term deal. Further details of the government’s proposals are expected on Thursday. Ofgem chief executive Dermot Nolan said he did not know how long it would take for the government bill to become law, but it would then take around another five months before the regulator could start capping people’s bills. Around 70 percent of households are on SVTs. May has previously indicated a cap could cut average energy bills by around 100 pounds a year. Once the law is passed, Ofgem would need to launch a statutory consultation process of around 50-60 days and then allow energy suppliers further time to implement the measure, meaning it could not be in place this winter. “I cannot comment on next winter as it depends how quickly the bill will go through,” Nolan told journalists during a telephone briefing. Ofgem had already proposed intervening in the part of the market that supplies more vulnerable customers. A new scheme for this sector would protect around 1 million households next February, it said. The regulator is also working on plans to extend its price protection plan to a further 2 million vulnerable households by next winter, but Nolan said this would be dependent on the timing of the government’s legislation. Ofgem said it would now consult the industry on its safeguard tariff for SVTs while the government’s draft bill passes through parliament, and said suppliers in the meantime must step up efforts to provide better value deals. Britain’s energy market is dominated by the so-called big six providers — Centrica’s (CNA.L) British Gas, SSE (SSE.L), Iberdrola’s (IBE.MC) Scottish Power, Innogy’s npower (IGY.DE), E.ON (EONGn.DE) and EDF Energy (EDF.PA), which account for about 85 percent of the retail electricity market.